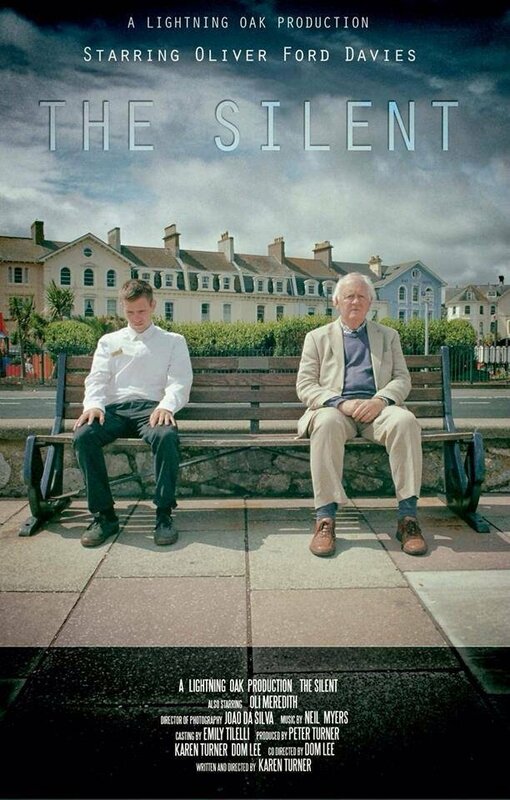 The Silent is an atmospheric short film shot in Teignmouth, which highlights the issue of male domestic abuse. The film features Star Wars and Game of Thrones actor, Oliver Ford Davies, and rising star, Oli Meredith. “It’s a great honour to be shortlisted and for The Silent to be screened in the Houses of Parliament,” writer-director Karen Turner told D&CFilm. The film draws attention to the ninety per cent of men who do not report attacks to the police; keeping quiet for a multitude of complex reasons. “I hope the screening of The Silent will help to raise awareness of this issue and encourage men to speak about violence towards them,” said Karen, who co-directed the film with Dom Lee. The Silent is shortlisted in the Best Short Film category and has already gone through two rounds of judging. The first round was carried out by local MPs – in this case Central Devon’s Mel Stride. The recommendation then was forwarded to a national industry judging panel before being finally shortlisted. The Ligthning Oak team are also in the running for an Exeter Living Creative award, a reflection of their commitment to telling important stories, engaging the community and promoting the region. The prizes including mentoring from industry professionals, the special House of Commons screening, a certificate of classification by the BBFC plus a Film the House award trophy, and cash. With the awards presented by British cinema cheerleading grandee Lord Puttnam. ‘The UK has always been a hotbed of cinematic talent, which is why it’s crucial to constantly remind legislators of the importance of protecting and supporting this rich cultural economy,” he said. The Film the House celebration takes place on April 2 at the House of Commons.